I cannot think of a better way to tell you about Saint Francis Retreat House than to simply invite you to “Come and See”! We here at Saint Francis would love for you to come and experience firsthand our Franciscan hospitality. As you read through the pages of this website, you will learn of the many opportunities and experiences possible. We have weekend and weekday overnight programs that might be just the thing you need to renew the fire of your life. If your time is limited, we also offer day programs and morning classes to assist you on your spiritual journey. 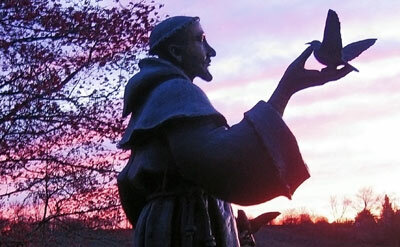 Saint Francis of Assisi discovered his identity and found great joy in all of God’s creation. You are most welcome to come here even for just a few hours, to take in the beauty of our grounds or to spend time in one of our chapels. Surrounded by God’s presence, you can also find joy and purpose in your own life. The Holy Spirit leads us to a still place of the heart, to the Lord God within… Our souls hunger for this, but in the busyness of our everyday lives, we so often do not find the discipline of heart-and- soul to allow it. As the word “retreat” implies we seek a change of direction. Retreat is an invitation to abandon our normal spaces and all the creature comforts. When we “get away from it all” and come to the place where we find alone time with God, when the quiet begins to sink in, we will wonder why we waited so long. 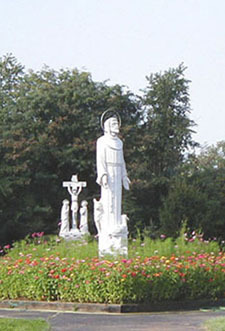 Saint Francis Retreat House, Easton, PA, in the spirit of St. Francis of Assisi, is committed to spreading the Gospel of Jesus Christ and the message of God’s love for all people.